Available in Gloss & Matt. 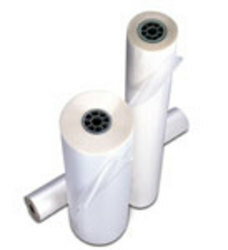 A high quality film that is most popular for its consistency in both clarity and stick, light weight laminated items can be easily rolled up for transport. Good for maps, posters, point of sale, certificates and more. Digikote Digital Laminating Films are specially engineered with UV inhibitors and LightFast technology to reduce graphic fade and protect against moisture. DigiKote laminating films feature adhesives that enhance clarity by sealing at 185°F. The film's low sealing temperature helps preserve inks in digitally printed graphics, which can deteriorate at high temperatures.